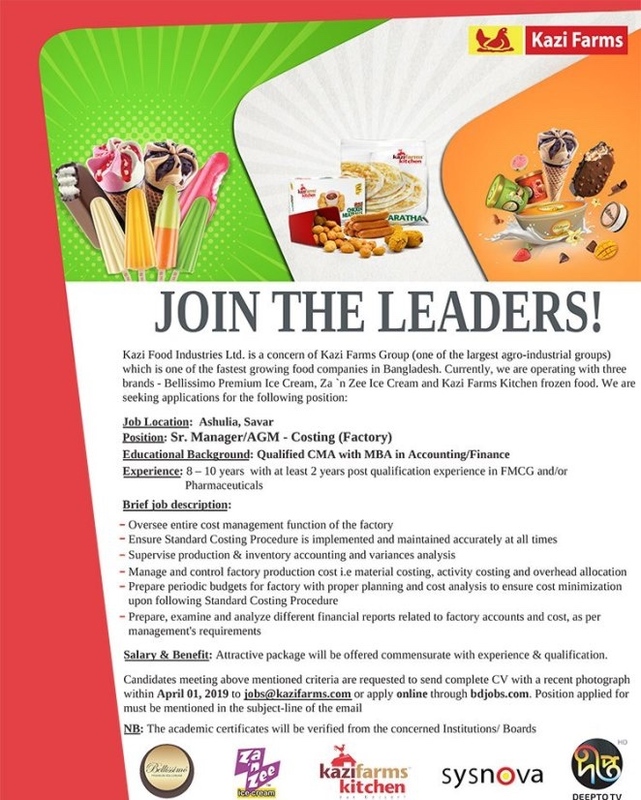 Kazi Farms Group Job Circular 2019 – www.kazifarms.com recently a job circular at Kazi Farms Group has been published. The circular has given chance to the job seekers to build up a career in the corporate level. If you have the capability and required qualifications then apply as early as possible. Attend the interview if it is needed. In BD job market com we publish the job information like job circulars, seat plans, notices etc.